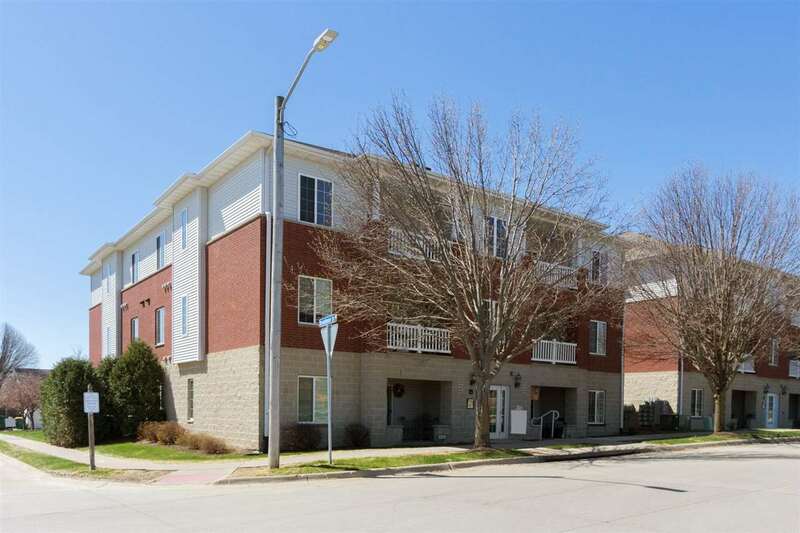 Extremely well kept 2 bedroom condo on the 2nd floor in wonderful condition! The open kitchen concept is open to great room with cozy fireplace. The kitchen boasts of stainless steel appliances, pantry and great counter space with washer/dryer very handy! 2 nice sized bedrooms and a neat and clean bath. You will enjoy the large 2 car garage for extra storage. Assoc fees are $165/month and professionally managed through River City. End of May possession prefered. Close to bus line and new city park!